Familiar focus: Voters opted for change last week, but moviegoers are sticking with what's familiar. 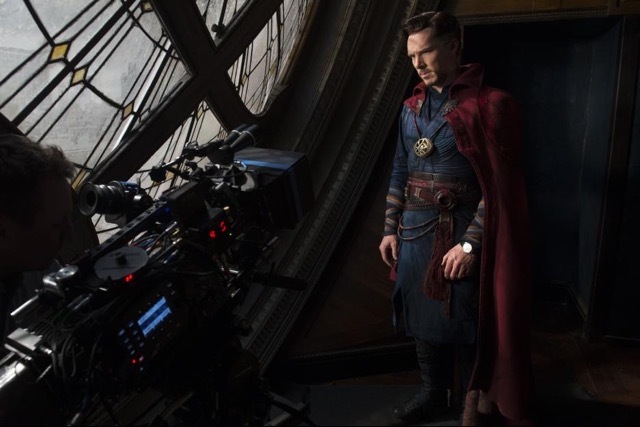 The fall boxoffice turnaround continued to be powered last weekend by Marvel Studios and Disney's PG-13 rated 3D action adventure comic book fantasy "Doctor Strange." In weekend two, the good "Doctor" held on to first place with a healthy $43 million, down just 49 percent from its $85.1 million launch. Its domestic cume is now $153 million. It's also done $339.6 million internationally for a global cume of $492.6 million, per Disney, which said Sunday that, "'Doctor Strange' has already passed the lifetime cumes of 'The Incredible Hulk' ($263 million), 'Captain America: The First Avenger' ($371 million) and 'Thor' ($449 million) and is fast approaching 'Ant-Man' ($520 million)." "Doctor's" an original, but it's got a familiar feel because it's part of the Marvel Cinematic Universe. Moviegoers know what to expect when Marvel rolls out a new title even if it's based on an unfamiliar comic book. That's because there's an overall unity to the universe in which Marvel's movies are set. If you love top tier Marvel properties like "Avengers," "Spider-Man," "Iron Man" and "Captain America," you're also likely to be interested in lesser known Marvel titles -- like "Doctor" and "Guardians of the Galaxies" were when they first hit theatres. Moviegoers like knowing what to expect from a film given what moviegoing costs today, particularly for tickets to 3D, IMAX and premium large format showings. IMAX, by the way, continued to be a key factor in "Doctor's" global success last weekend with "$12 million of global IMAX box office in its second worldwide weekend," IMAX said Sunday. "The global IMAX cume for 'Doctor Strange' reaches $54 million." A film needn't be a sequel to make the grade, but it helps for it to be connected in some way to earlier hits. In fact, it's better to be a familiar but fresh new storyline rather than one more episode of a franchise that's growing stale. Another good example of that last weekend was 20th Century Fox and DreamWorks Animation's 3D PG rated animated comedy adventure "Trolls." It finished a strong second in week two with $35 million and a domestic cume of $94 million. "Trolls" is an original based on dolls created in Denmark in 1958 by Thomas Dam. But what's familiar about it to moviegoers today is its connection to DreamWorks' 3D family friendly animation brand. Parents who enjoyed previous DreamWorks franchises like "Shrek" and "Kung Fu Panda" find comfort in that association as they consider spending $100 or more for four tickets, snacks and transportation to see "Trolls." Last weekend's biggest new arrival, Paramount Pictures' PG-13 rated sci-fi mystery "Arrival" was a solid number three with $24 million. Directed by Denis Villeneuve ("Sicario"), it stars Amy Adams, Jeremy Renner and Forest Whitaker. Thanks to the new hits and to Veteran's Day falling on Friday and boosting its afternoon and early evening ticket sales, it was another up weekend for Hollywood, about 45.9 percent ahead of this time last year -- $158.5 million vs. $108.6 million, per comScore. That lifted the year-to-date in comScore's tabulations -- $9.65 billion vs. $9.24 billion, up 4.5 percent. A week earlier, 2016 was ahead by 4.4 percent. So familiarity is playing a key role in keeping Hollywood on track to enjoy a record setting year. Of course, familiarity is only an advantage when it reminds audiences of something they liked. That was clear a few weeks ago when "Inferno" got the cold shoulder from moviegoers. They liked the franchise's first episode ("The Da Vinci Code" did $217.5 million domestically in 2006), but weren't knocked out by episode two ("Angels & Demons" did $133.4 million domestically in 2009). "Inferno" opened Oct. 28 to $14.9 million and has a domestic cume of $31.6 million. Hollywood's got another very familiar high profile release on the horizon that's likely to go on a wild ride at the boxoffice -- Warner Bros. and Heyday Films' PG-13 rated 3D fantasy family adventure "Fantastic Beasts and Where to Find Them," opening Friday (Nov. 18) at about 4,000 theatres. It's an original, but has very familiar roots since it's from the wizarding world of "Harry Potter" creator J.K. Rowling. Directed by David Yates, who directed the last four "Harry Potter" franchise episodes, "Beasts" stars Eddie Redmayne, Johnny Depp and Gemma Chan. It should play to the same broad audience that paid $2.4 billion domestically to see the nine "HP" episodes. The new franchise – Rowling has said there will be five "Beasts" episodes -- is set 70 years before the start of the "HP" franchise. 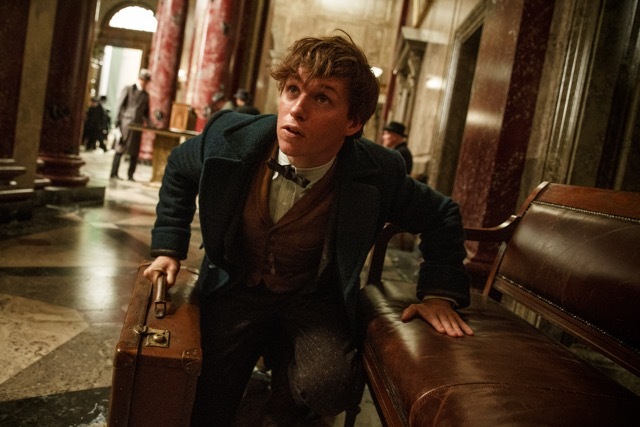 Redmayne plays "magizoologist" Newt Scamander, who arrives in 1926 New York after winding up a global excursion to document an extraordinary array of magical creatures. What should have been a brief stopover, however, turns into something else after some of Newt's unique beasts escape. Hollywood handicappers anticipate a "Beasts" launch to $75 million or more, after which it should also enliven moviegoing over the long Thanksgiving holiday period. There's also likely to be a mid-December boxoffice boost from another original whose familiarity is linked to a memorable franchise. 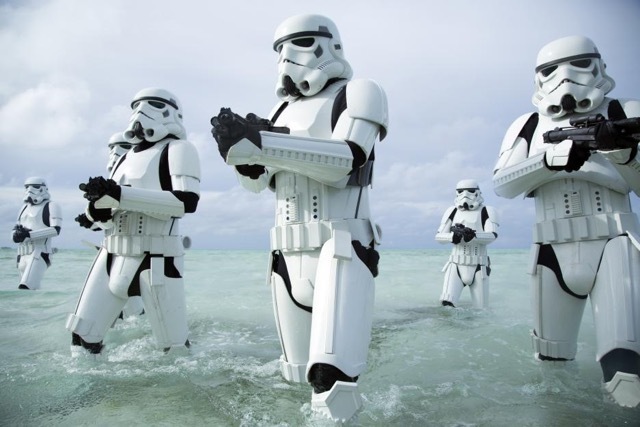 "Rogue" is the first "Star Wars" franchise theatrical spin-off. While it's set in the same universe, it's not linked to the Luke Skywalker storyline except for a brief appearance by Darth Vader (voiced by James Earl Jones). The new film starts shortly before the beginning of George Lucas' original "Star Wars" episode. Here, too, there's an immediate connection for moviegoers to a world with which they're already very familiar. "Rogue" arrives about a week before Christmas and should add significantly to holiday boxoffice merrymaking. As we move into early next year, so will Hollywood familiarity. Besides a string of horror genre sequels -- "Underworld: Blood Wars" (Jan. 6), "Amityville: The Awakening" (Jan. 6), "Resident Evil: The Final Chapter" (Jan. 27) and "Rings" (Feb. 3) -- there's a big original 3D animated action comedy on deck with links to not one but two sets of blockbuster roots. "The Lego Batman Movie," opening Feb. 10, is from Warner Bros., DC Entertainment and Lego System A/S. It's an original related to the classic "Batman" franchise, whose 10 titles did $2.2 billion domestically, and the animated family action adventure "The Lego Movie," which opened Feb. 7, 2014 to $69.1 million and did $257.8 million domestically. With its "Batman" connection for parents and its "Lego Movie" link for kids, "Lego Batman" should build a big boxoffice gross when it hits the multiplexes. Bottom line: Looking ahead, familiarity isn't going to disappear from Hollywood's moviemaking equation. Late last week, there was word that Paramount and Hasbro's blockbuster franchise "Transformers" is going to be generating its first spinoff. It's called "Bumblebee," after one of the franchise's characters, and will roll into theatres June 8, 2018. Once again, moviegoers will be familiar with the spinoff's roots when it hits the multiplexes.